I have tried to procure this design on the internet. It appears to be no longer available. Can you assist? Beautiful work. 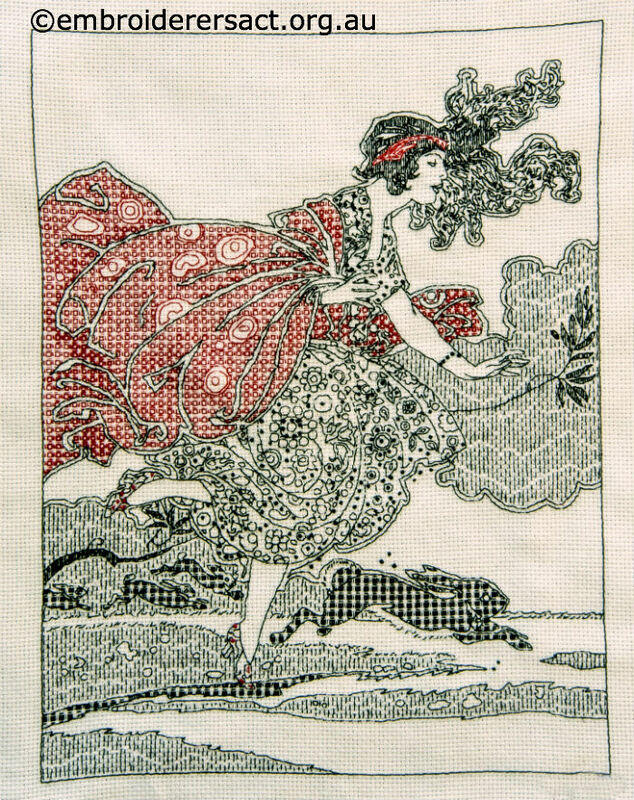 I love blackwork scenes not just sampler squares. Carol, our records show this is an Anchor kit called “Windswept”. Unfortunately we don’t directly source patterns so good luck in finding it. Any time you are visiting the ACT, feel free to check When and where we meet, and call in for a visit.